Almonds are a versatile tree nut. They come whole, blanched, slivered, flaked and ground, so make a useful ingredient adding texture and taste to meals. Plus, like fruit and vegetables, almonds are packed with vitamins, minerals, antioxidants and phytochemicals beneficial to health. Enjoying a handful of nuts (30g) regularly as part of a healthy diet may reduce your risk of heart disease and type 2 diabetes, and can help with weight management. So eat two serves of fruit, five serves of veggies and a handful of nuts every day. A 30g serve of almonds is about 20 nuts. • Rich source of healthy fats – almonds contain healthy unsaturated fats, predominantly monounsaturated fat (66% of total fat), plus have a low proportion of saturated fat (7% of total fat).6 Like all other plant foods, they are also cholesterol free. • Excellent source of natural vitamin E – almonds are high in vitamin E with a 30g serve providing over 70% of the RDI. Vitamin E is an important fat soluble vitamin and antioxidant which can help maintain a healthy heart. • Contains natural plant sterols which can help to lower cholesterol levels by reducing cholesterol reabsorption in the intestine. Almonds contain 172mg of plant sterols per 100g. • Source of plant protein particularly amino acid arginine – almonds contain around 6g protein in every 30g handful. Arginine is converted to nitric oxide in the body. Nitric oxide causes blood vessels to relax and remain elastic, and helps prevent blood clotting. Hardening of the arteries and blood clotting can lead to heart disease. • Improves blood cholesterol – almonds lower total and ‘bad’ LDL cholesterol levels. One study found that a 73g serve of almonds each day reduced LDL cholesterol by almost 10% while 37g, or around a handful, reduced LDL by around 5%.9 The consumption of almonds as part of a vegetarian diet which was also low in saturated fat, and high in plant sterols, soy protein and soluble fibre, was found to reduce LDL cholesterol by a third. • Prevents oxidation of LDL cholesterol – one study found including almonds in the diet for a month led to a reduction in oxidised LDL cholesterol. Oxidised cholesterol is sticky and can block arteries. 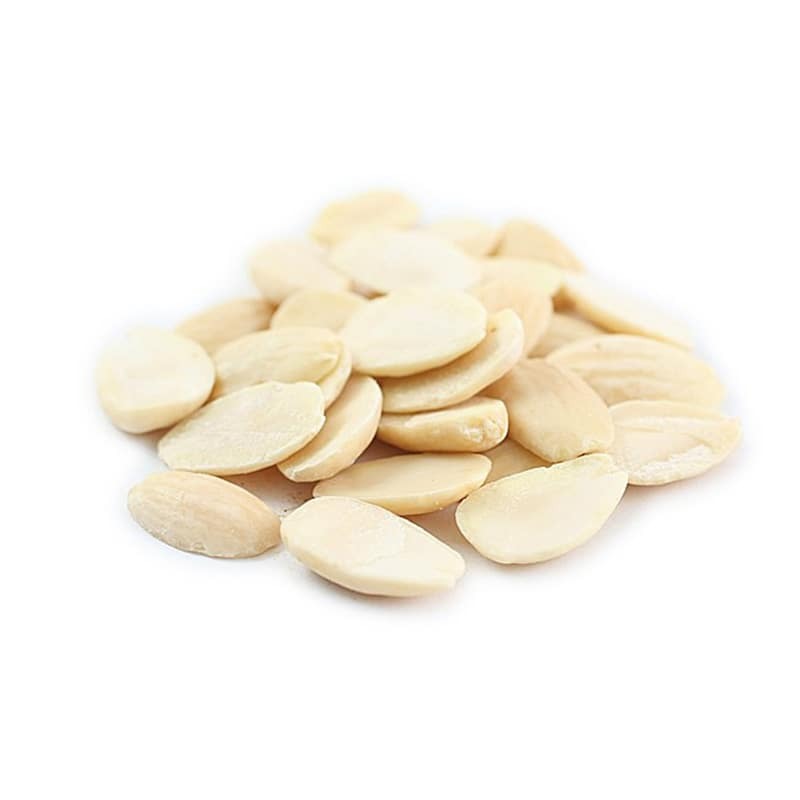 Almond skins are rich source of antioxidants called polyphenols, which may help to prevent the oxidation of cholesterol, particularly in conjunction with antioxidant vitamin E. Almonds also have a high level of polyphenol antioxidants. • Reduces oxidative stress – a study of smokers found that eating 84g of almonds for 4 weeks reduced biomarkers of oxidative stress while another found that eating almonds with a meal reduced oxidative damage. Oxidation causes damage to the cells in our body and is believed to be an important factor in the development of diseases such as heart disease, cataracts and macular degeneration, as well as playing a role in ageing. • Anti-inflammatory effects – Antioxidants and other phytochemicals play an important role in reducing inflammation. Chronic inflammation is thought to cause chronic diseases such as heart disease and diabetes. Consumption of 68g, or two handfuls, of almonds can reduce some biomarkers of inflammation. A combination of the healthy fats, antioxidants, fibre, plant sterol and arginine content of almonds and their antioxidant, anti-inflammatory and cholesterol reducing effects may explain why almonds promote heart health.